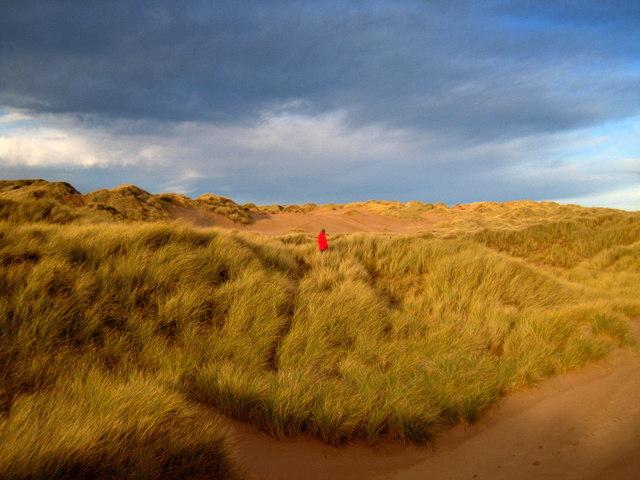 Part of the extensive range of mobile coastal dunes south of the River Ythan. In December 2007 an essentially similar area just to the South at Menie Links was the site of a controverial planning application by Donald Trump to build a large golf course, hotel and houses on an area designated as an SSI (Site of Special Scientific Interest). © Copyright Martyn Gorman and licensed for reuse under this Creative Commons Licence.